Why is it reasonable to wager there is at least a one-percent chance that something serious may be occurring in the earth’s environment? There is a reasonable chance — more than one in a hundred — that melting polar ice caps are the harbinger of something far more serious. The two conservative thinkers affirm that inaction on climate change, despite the claim by skeptics of gaps in our knowledge, is a totally illogical choice. The irony of climate change is that it finds conservatives rejecting conservative action. <!-strCallout1->If we apply his rule to the ongoing concern about climate change, this sweltering summer and the general trend toward escalating weather volatility make it reasonable to project that there is at least one chance in a hundred that something serious — and possibly catastrophic — may be occurring in the earth’s environment. What many people generally do not recognize is that former Vice President Cheney’s reasoning had roots in the logic of another leading conservative, Blaise Pascal, one of history’s mathematical geniuses, who lived from 1623 to 1662. Equally important, he treaded ground that intellectually, culturally and emotionally should be very familiar to today’s conservatives. Applying probability theory to religion, Pascal set forth what is known as Pascal’s wager. Imagine you have to bet on a coin flip in which “heads” means God exists and “tails” that He does not. What would you bet? Cost-benefit analysis, Pascal reasoned, requires you to bet “heads.” If God exists, you win big. If He does not, you lose nothing — and you might benefit by leading a virtuous life. To bet tails has zero benefit. If God does not exist, it matters little. However, if you are wrong, your loss is infinite. The conservative choice is clear. 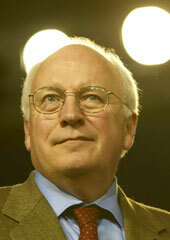 Cheney’s and Pascal’s cost-benefit reasoning apply readily to climate change. If we bet that something may be amiss in the way we are dealing with environmental issues and begin to take action, we win big. If it is not, our wrong bet has no consequences except that our air and water may be a little cleaner and our technologies a little more advanced. If we bet to the contrary and do nothing, the potential of catastrophic result of Pascal’s probabilities is a realistic probability. These two conservative thinkers provide a unified framework for action on climate change. They affirm that inaction, despite the claim by skeptics of gaps in our knowledge, is a totally illogical choice. It also flies in the face of the behavior of most rational adults for the safety of their own families. <!-strCallout2->Few skeptics deny buying personal insurance for protection from possibly catastrophic events such as hurricane, flood or burglary, however remote they may be. So how do they explain opposition to measures akin to insurance to address the possible causes of extreme weather? Even if melting polar ice caps is the result of a natural cycle, there is also a reasonable chance — more than one in a hundred — that it is the harbinger of something far more serious. They should be among the first to advocate adherence to the Cheney dictum. Given the inexorable trends of increasing demand for natural resources and energy from rising middle classes in developing countries, factors already in process make it impossible to reverse our course without major dislocations. Improved health programs already mean larger populations eager for education and a better life. Crowded cities require action to accommodate growth amidst inefficient delivery systems for energy and water, gridlocked traffic and pollution. The clash of global demand for economic development with the imperatives of a fragile environment means that effective action cannot be achieved by one nation alone. Coordinated international collaboration, especially with the Asian giants, is indispensable. The recent abdication of international cooperation in the Rio+20 Summit is like a scene in an impending classic Greek tragedy. The irony of climate change is that it finds conservatives rejecting conservative action. The core principals of free markets require an open mind to all sources of information and prudent action when we do not know what we do not know. It requires diligent efforts to understand scientific research of all stripes, not the folly of demonizing information with which we disagree. <!-strCallout3->It is a strange world indeed. Former Vice President Cheney and his colleagues placed a huge bet on looking for something that turned out not to exist. Yet they are reluctant to look carefully at something that a vast majority of the global scientific community acknowledges as real. Given the increasing extremes in climate and melting polar caps, which everyone can see, there is clearly more than a 1% chance that something is awry in our earth’s climate. Maybe this time his dictum is really relevant. 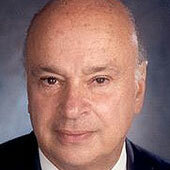 L. Ronald Scheman is a senior adviser at Kissinger McLarty Associates. From 2000 to 2007, he was the director-general of the Inter-American Agency for Cooperation and Development.